Granger Football lost at Connell 42-14 on Friday, November 2nd. No details were reported. Spartan Football won 35-0 at Goldendale on Friday, October 26th. No results were reported. 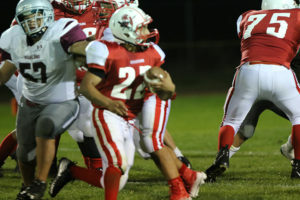 Granger Football won 21-14 at home vs Naches Valley on Friday, October 19th. The Spartans scored 21 points in the first half and held on to win. JJ Arteaga rushed 40 times for 212 yards and 2 touchdowns and Jonathon Mendoza rushed 7 times for 111 yards and a touchdown. Maurillio Ramero kick all three extra points successfully. Rushing-NV: Alex Sloan 17-79, Lucas 21-134. G:JJ Arteaga 40-212, Jonathon Mendoza 7-11, Adrian Soliz 3-12. Passing-NV:Lucas 5-8-0-28, Grant Osborne 2-2-0-29; G-Jonthon Mendoza 1-8-0-9. Receiving-NV: Camden Andrews 1-14, Dylan Vanamburg 3-19, Xander Hires 1-11, Julian Rodriguez 1-8, Joseph Briskey 1-14; G: Jecador Silva 1-9. Granger Football won at Cle Elum 48-6 on Friday, October 12th. No Results were reported. 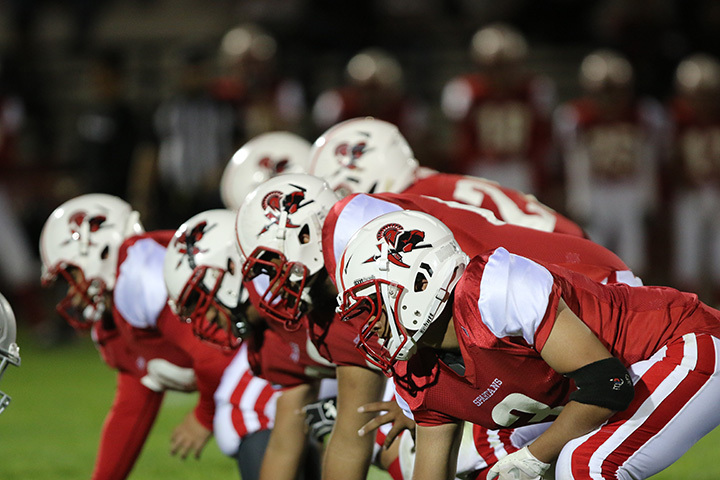 Granger Football lost to Zillah 48-0 at home on Friday, October 5th. The Spartans were led by Juan Arteaga with 26 yards rushing and 1 catch for 51 yards, and Jonathan Mendoza who rushed for 48 yards and completed the 51 yard pass. Rushing: Z, Brian Calhoun 10-54; Cody Vance 8-102; Zane Giles 6-70. G, Juan Arteaga 15-26, Jonathan Mendoza 15-48. Passing: Z, Clayson Delp 6-9-0-168. G, Jonathan Mendoza 1-14-1-51. Receiving: Z, Ethan Boisselle 3-101, Sebastian Godina 2-54, Cody Vance 1-12. G, Juan Arteaga 1-51. Granger Spartan Football lost at La Salle 47-7 on Friday, September 28th. 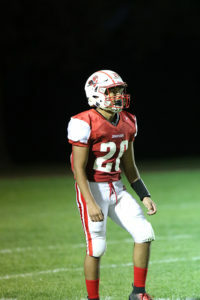 Jonathan Mendoza scored the lone touchdown, gained 22 yards on the ground and had 6 completions for 40 yards to lead the Spartans. Passing: Granger, Jonathan Mendoza 6-15-1-40. La Salle Kieran Kershaw 8-10-0-119, Ryan Kershaw 1-2-1-60. Receiving: Granger, Bryan Vazquez 2-17, Isaac Guillen 1-16, Juan Arteaga 3-7. La Salle, Harley Hemenway 3-100, Sahil Randhawa 1-37, Nathan Sedgwick 2-21, Ryan Kershaw 2-13, Jarrin Baken 1-18. Granger Football lost Homecoming 49-7 to Chelan on Friday, September 21st. Bryan Vasquez ran a kickoff back 69 yards for a touchdown for the Spartans. 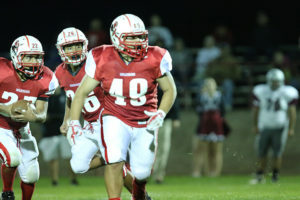 Rushing – Chelan: Ayala 15-143, Stamps 6-35, Wier 2-4, Mendivil 1-9, Jacob Keen 2-6, Funner Glesman 4-14, Drake Bird 3-12. Granger: J.J. Artega 14-50, Adrian Solis 1-2, Johnny Mendoza 9-14. Passing – Chelan: Stamps 7-9-0-155, Bird 0-1-1-0. Granger: Mendoza 0-5-2-0. Receiving – Chelan: Mendivil 1-26, Christian Torres 3-91, Wier 3-35. 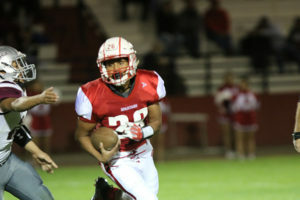 Granger Spartan Football beat Highland 21-6 at home on Friday, September 14th. 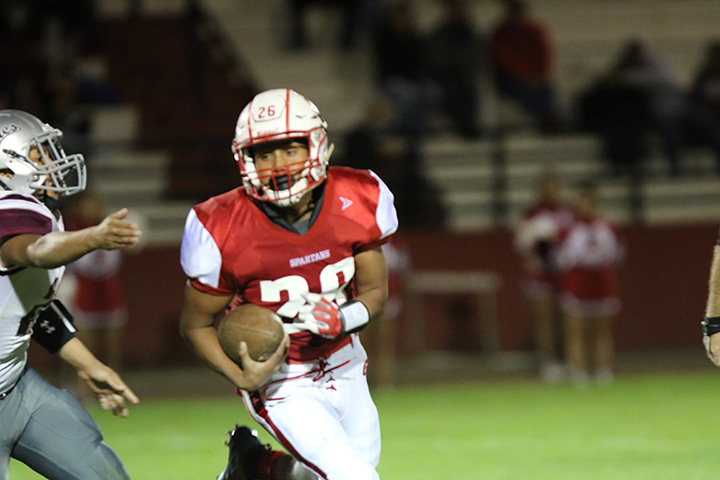 Adrian Soliz and J.J. Arteaga ran for touchdown with Arteaga rushing 24 times for 130 yards. Jonathon Ornelas returned an interception for a score. Rushing: Highland, Estaban Barragan 10-54, Cristian Bravo 9-50, Lincoln Hakala 17-57; Granger, Adrian Soliz 7-21, J.J. Arteaga 24-13, Johnny Mendoza 7-43, Diego Cantu 1-5. Passing: Highland, Lino Palacios 1-6-1-12, Lincoln Hakala 3-6-0-1; Granger, Johnny Mendoza 2-11-4-38. Receiving: Highland, Fernando Rivera 1-12, Kendal Keller 1-1, Cristian Bravo 1-2, Peter Williams 1-(-2); Granger, Jonathon Ornales 1-38, J.J. Arteaga 2-0. Granger Spartan Football lost at Wahluke 3-0 on Friday, September 7th. Spartan Football lost 19-12 to Mabton at home on Friday, August 31st. Juan Arteaga had 149 yards rushing on 30 carries and a touchdown and Bryan Vasques caught a 17 yard touchdown from Johnny Mendoza. RUSHING — Mabton, Jorge Espinoza 8-10, Zavala 8-27, Trujillo 7-58. Granger, Mendoza 13-93, Arteaga 30-149. PASSING — Mabton, Zavala 18-23-0-160. Granger, Mendoza 1-2-0-17, Diego Cantu 0-1-0-0, Arteaga 0-1-0-0. RECEIVING — Mabton, (catches only) Espinoza 6, Gutierrez 3, Trujillo 3, McCallum 2, Gonzalez 1, Preciado 1. Granger, Vasquez 1-17.